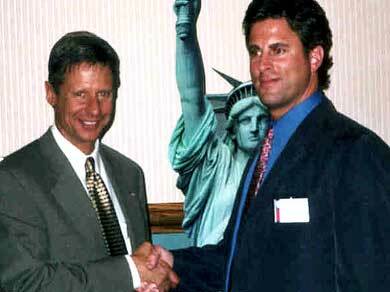 The first interview of the 2012 Presidential election on Left Right And Correct.com with Dan Belforti & Friends will feature former New Mexico governor Gary Johnson (R) this Friday, August 26 from noon to 1pm on 106.1 FM, Portsmouth Community Radio. Matt Simon, NH Communications Director, will join Dan and Gary in studio as well. Gary Johnson has been recently featured on The Colbert Report and with this Friday’s Belforti Bump should continue to make waves within the Republican Party with his common sense libertarian values. Johnson’s Correct stand to legalize marijuana at the federal level is an excellent example of his rational approach to help lead this country back to prosperity. Gary also correctly supports Fairtax.org to replace income taxes with consumption taxes, while also providing an income stream for all U.S. citizens.